I have gotten shamefully behind on my do. Good Stitches duties, so I am playing catchup. 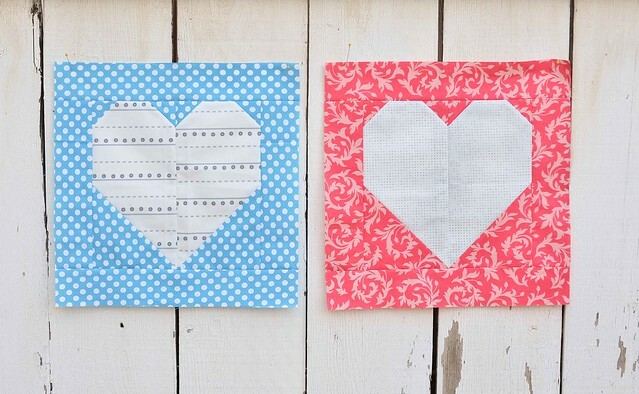 First I put together our February blocks. Since it was my turn as quilter last month and I knew it would be a little while until I could put the quilt together, I put these off. 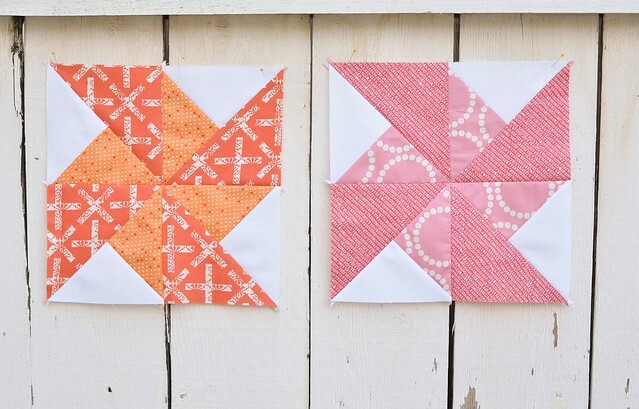 I asked everyone to make 2 of these double pinwheel blocks in warm pinks, oranges, peaches, and yellows where the larger pinwheel was a darker shade and the smaller pinwheel was a lighter shade of the same color. I also needed to hurry and get my March blocks finished so I could get them in the mail. Kirsten requested that we each make 2 of Allison's Heart Blocks, one in blue and one in pink so that she can put 2 quilts together. Our circle (the Wish Circle) has put together some gorgeous quilts lately. I can't remember which of the quilts I have shared, so I will just show you a couple of recent finishes. Caitlin's Geese in the Round quilt. You might have seen this on display at QuiltCon and it's amazing. I love it. 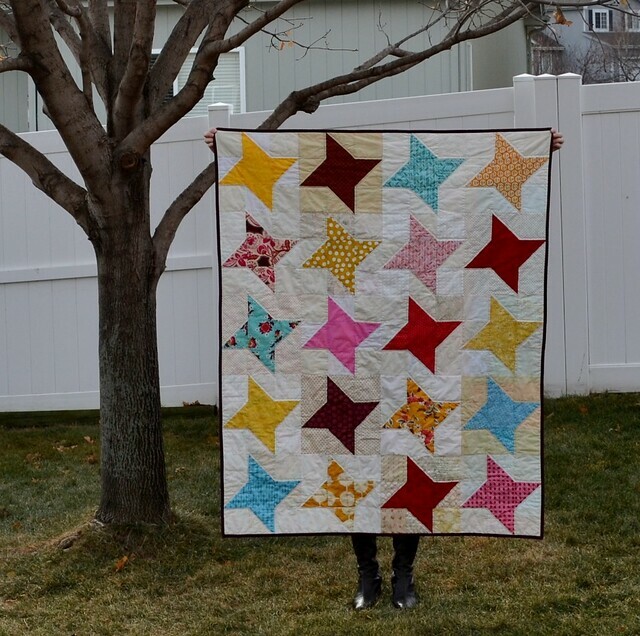 Steph's Friendship Star Quilt. I love the colors that Steph chose and how cuddly it looks. Kirsten's 4-penny patch. 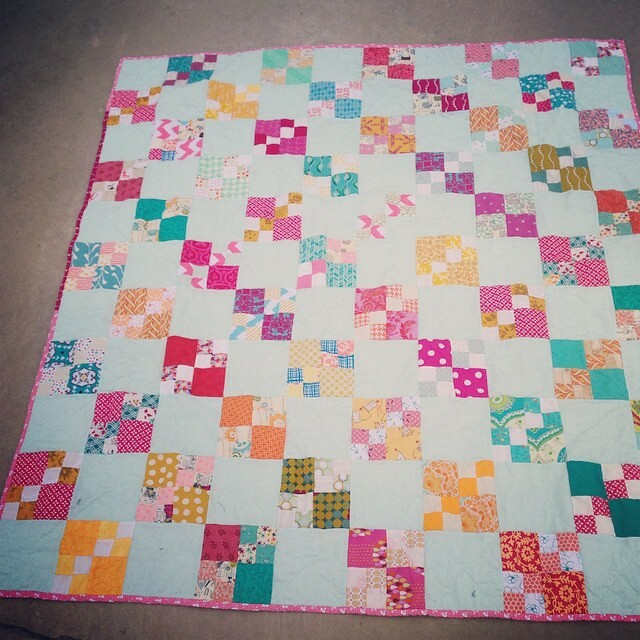 When Kirsten posted the block directions for this quilt, I knew it was going to be amazing. How happy are those colors? Rebekah's Goldfish Cracker quilt. This is going to make someone so happy. 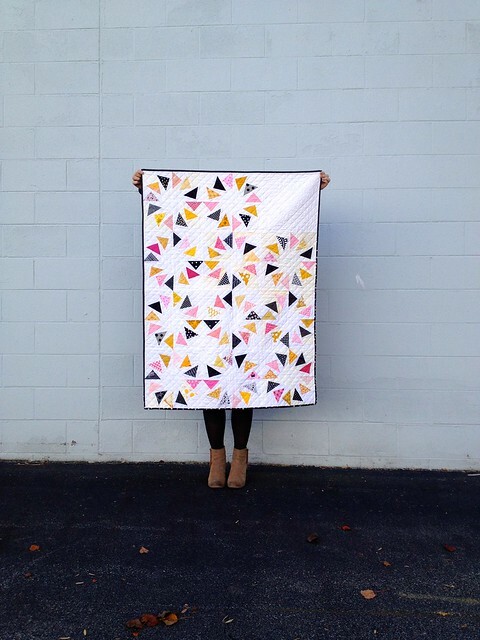 All of our quilts go to Project Linus. If you are interested in getting involved with do. Good Stitches, you can find out more information here.